People suffer from all sorts of illnesses, from cancer to autoimmune diseases. Perhaps the most intolerable aspect of these diseases is not the knowledge of declining health or even the prospect of death, for many the worst aspect of these diseases is the chronic pain that is associated with them. 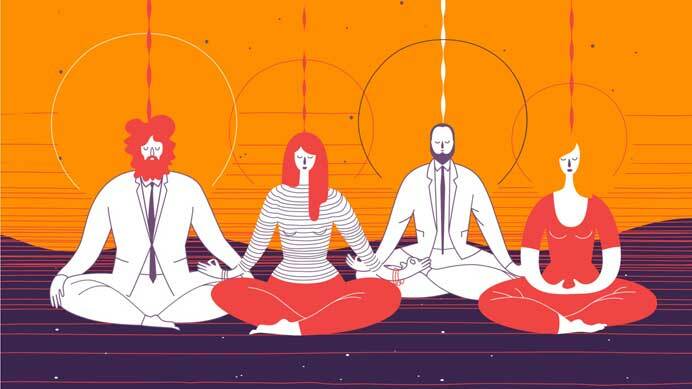 In response to the epidemic of chronic pain, some physicians have recommended ancient meditation techniques that are thought to be able to relieve intense pain. The type of meditation that helps with chronic pain is known as mindfulness. In some clinical trials, almost 60% of people have seen a reduction in chronic pain after mindful meditation. A lot of how we perceive pain is based on our memories. The mind seems to zoom in on bodily pain thereby amplifying it. The more memories of pain, the more the mind zooms into it thereby amplifying it even more. As such, the brain simply gets better at sensing pain at higher intensity, and you can see how this is bad news for you. All in all, this happens in a very short period of time and it may explain why chronic pain gets worse so rapidly. So what we have here are two types of pain, primary pain and secondary pain. The former is the real physical pain symptoms that your body emits to your brain, the second is how your brain senses, deals and amplifies that pain. In effect, mindfulness teaches you how to turn down the volume control on your pain. And as you do so, any anxiety, stress and depression that you may be feeling begins to melt away too. Your body can then relax and begin to heal. If you suffer from chronic pain and would like to know more about supplementary techniques to help ease your pain, make sure to talk to your doctor to see what best suits your needs. Remember that meditation is not meant to be a replacement for your medication.